Late last year, I wrote about Will White's new project LSA (aka Love Stays Alive), and they went and released their debut single earlier this month. Watch the new video for 'More Or Less Equal' and listen to its double AA-side, 'No Good Man' below. 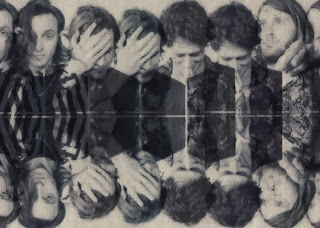 White has previously toured with The Maccabees (who count his brothers, Felix and Hugo, as members) and LSA have a touch of said band in their sound, particularly on the pulsating 'More Or Less Equal'. Purchase the single at lovestaysalive.bigcartel.com. Find more info at facebook.com/lovestaysalive.